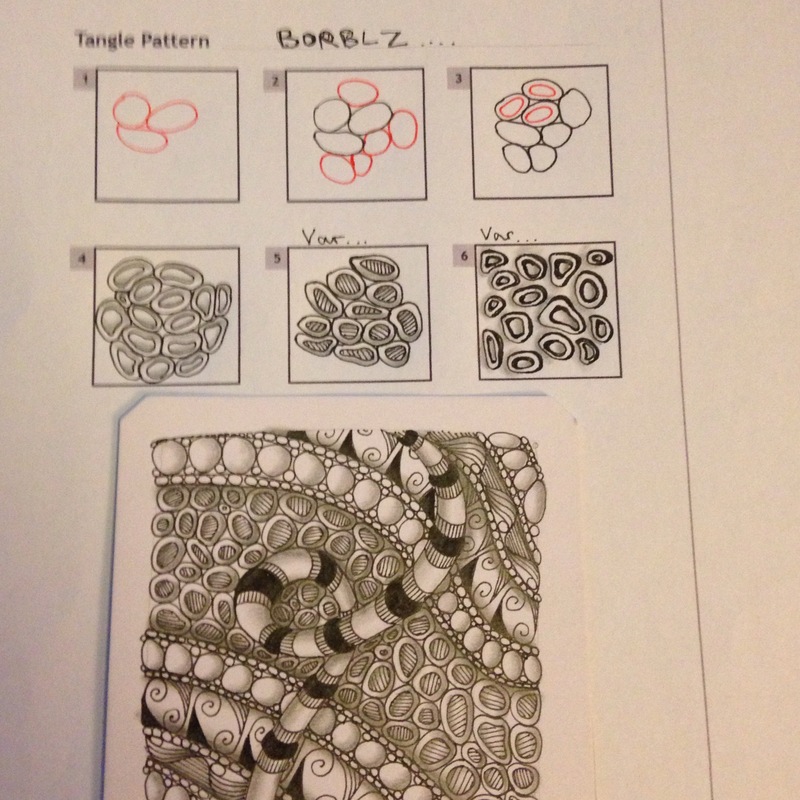 Today’s new tangle patterns come to us from Sarah Fowler, from the United Kingdom. 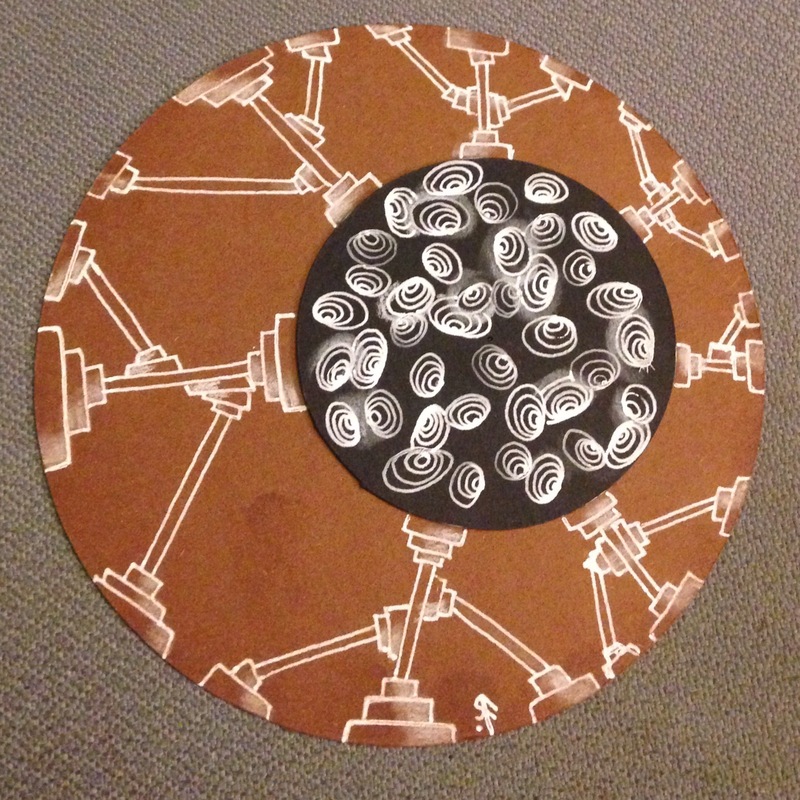 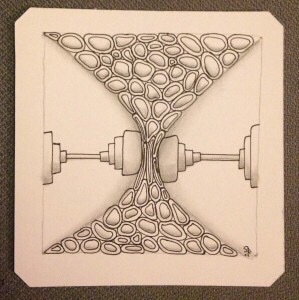 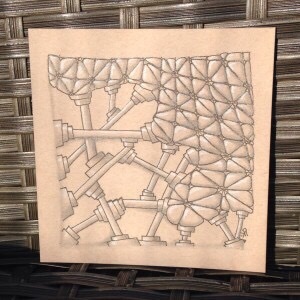 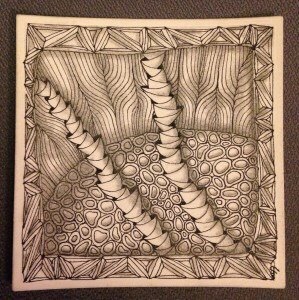 Sarah has been using these tangles for some time, and has recently shared the step-outs on the Zentangle Mosaic app. 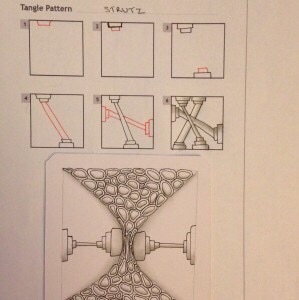 Recently, Strutz was featured in the TanglePatterns.com newsletter. 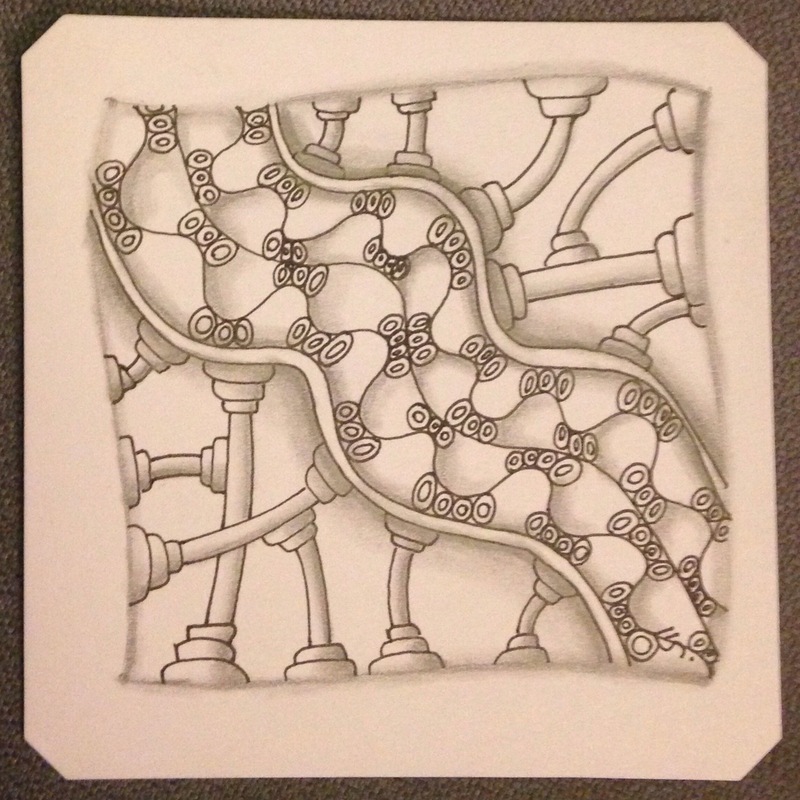 Here are the step-outs for Strutz and Borblz, followed by some of Sarah’s tiles that feature these patterns. 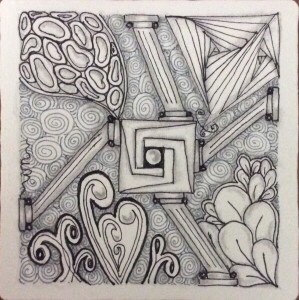 Hoping you find these patterns as fun to draw as I do, I wish you Happy Tangling!